What makes a good music venue these days? A dynamic atmosphere, quality DJ’s, sound staff, cheap booze and perhaps most importantly a place that doesn’t require you to show up at the door in any sort of made-to-measure elegant attire. Well if you’re looking for a taste of all of the above, most people will tell you that you are bang out of luck and are asking too much of one venue, given the variety of clubs and bars that Dublin has to offer for differing desires. 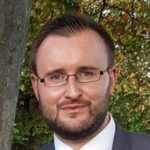 With the Workman’s Club however, there are a touch of all these qualities and more, there is a feeling of familiarity that is hard to explain without experience. It’s like walking into a friend’s house that you haven’t seen in years, dropping onto the couch and demanding a cup a Joe’ like you own the place. Yeah, if we had to put our finger on it, we would say it’s the vibe that helps tip it past any other Indie spots in Dublin. Located on Wellington Quay in Dublin’s city centre beside the famous Clarence Hotel, the Workman’s club has been home to solid Irish and International acts in its intimate surroundings since 2010, pouring out crowd pleasing performers like Future Islands, Maverick Sabre, Anna Calvi, Kodaline, Damian Dempsey and Little Green Cars to name but a few. 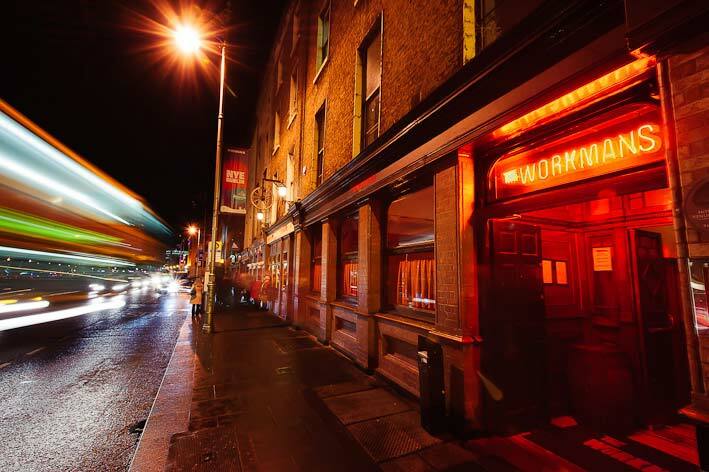 It further cemented its status at the helm of the Dublin music scene by picking up a prestigious Live Music Venue of the Year Award from Hot Press in 2010 as one of the most revered new venues for alternative and indie loving Dubliners. Well, were glad you asked! When I think of anywhere that it can be likened to, I would have to raise the comparison to the once thriving Eamon Doran’s of Crown Alley in Temple Bar. The former ultra-cool music venue fed alternative music fans and socialites an array of quality talents like The Cranberries, Mundy and Paddy Casey with Radiohead also delivering their first ever Irish show at the venue. Unbeknownst to many, the next door pizza shack was owned by Huey Morgan of the Fun Lovin’ Criminals! Unfortunately for Doran’s they went into liquidation in 2009 with debts of over €600,000 owed in unpaid taxes and closed their doors soon after. They left a gaping hole in the market which, in our impartial view, was and has been filled by the Workman’s Club. Of course there are other similar venues available today and if we were thinking purely in terms of music genres and size we would say Whelan’s of Wexford Street and the Grand Social on Liffey Street would be close contenders. There is a well-equipped set of staff behind each bar who are ready to deliver a pretty wide range of drinks. The prices are standard in terms of what you will pay in any bar in Dublin these days but the cocktails, specifically their Mojitos, do deserve a special mention and won’t break the bank. There is also a large beer garden for the smokers to flock to or anyone looking for a bit of quiet time away from the tunes (commonly known in Ireland as The Shift). 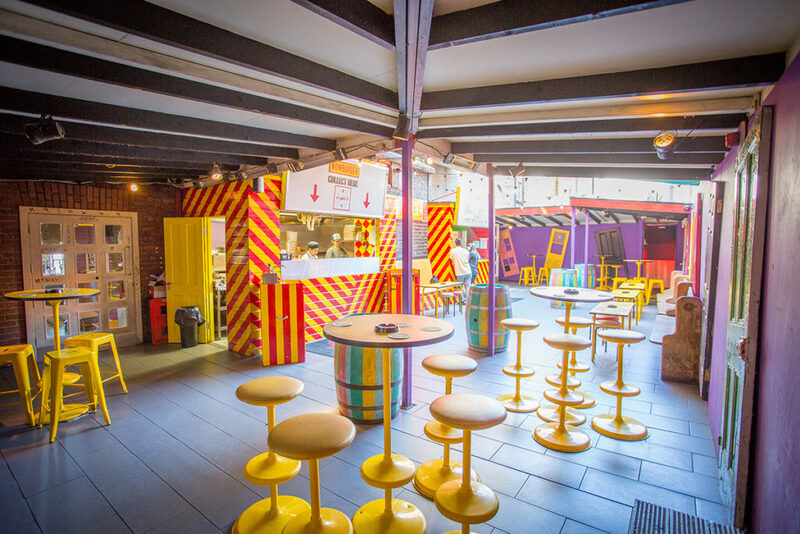 If you happen to be in during the afternoon or early evening hours we would highly recommend trying out Wowburger, a pop up burger joint at the back of the rooftop terrace. These aren’t your average run of the mill burgers and would rival any of the top spots currently in Dublin like Bunsen or Five Guys with their doughy baps and fall-apart beef. We recommend the Bacon Cheeseburger and Garlic butter fries, nom! Strangely enough however the closest men’s bathrooms on the top floor do not come equipped with cubicles which means it’s a lengthy trek to the lower quarters if you have scarfed down your burger too fast or inhaled one too many Jägerbombs! What Sounds Can I Expect? If tunes are your main driver for choosing a venue to spend your evening, then you won’t be disappointed here. There is a strict diet of Indie available throughout most of the week with a special serving on Monday nights. If you’re after some Hip-Hop and RnB then Wednesday will supply most of the action. Leading into the weekend there is a selection of Indie and Disco sounds on Thursday and Fridays. Moving to Saturday, expect alternative tunes, more Indie, another smattering of disco and a dose of Manchester bands to liven things up. Sunday, a day of rest? Not at the Workman’s Club where they hold a weekly Karaoke night in the Main Room just to your left as you walk in the door. Here you can test your vocal mettle and either wow or amuse the crowd, depending on your intake of those delicious yet sometimes devilsome cocktails! You can also take a look at their gig calendar to keep up to date on any upcoming shows. There is a mixture of every walk of life that frequents the Workman’s, from college students, to Indie connoisseurs, to office workers and back again to the momentous hipster crews. However, all of this adds to the feeling of togetherness and unified vibe that the venue has to offer. 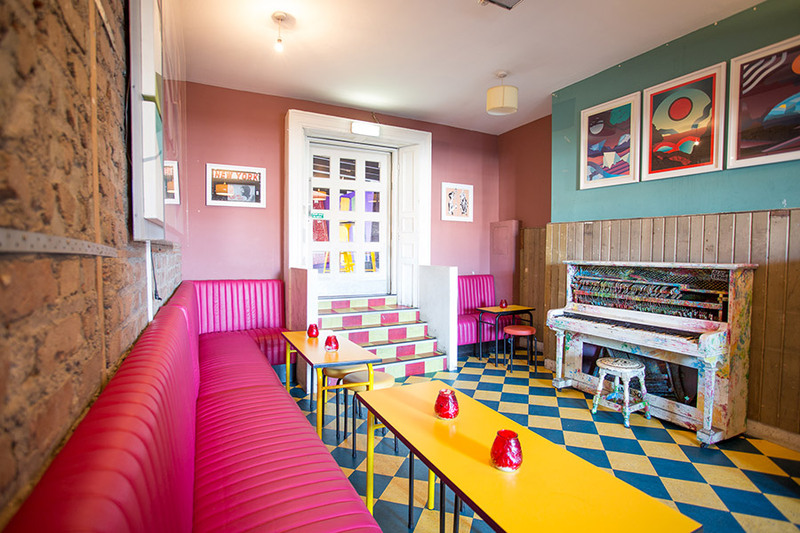 The décor is retro but well laid out and while you might struggle to get a seat on a Saturday night you will probably be kept afloat by the crowds swaying back and forwards to psychedelic sounds and indie anthems. It wouldn’t be beyond the realms of possibility to come across some Irish music personalities or celebrities whilst inside one of the bars. One of my visits to the Workman’s upstairs bar seen Hozier enter to meet a group of friends and have a catch up. Again the vibe (our new favourite word at The Sharpe) is such that the Bray native was able to pop in for a pint with friends and not be plagued by a selfie mafia or overly eager snap chatter. Granted a beanie hat and Parka jacket may have added some identity concealment, he made it out relatively unscathed! There are also private function rooms available that offer up quaint and quirky meeting places. The Vintage Room is a perfect solution for an acoustic affair or theatrical event. Also available is the No.9 Bar which houses funky designs and a private commode (watch Reservoir dogs for reference). Now look, I know we have mentioned the word Vibe a few thousand times already but I think it would be foolish at this stage not to mention it one more time seeing as the venue will host one of Irish Rock n’ Rolls most decorated nights in a few short weeks, the illustrious Vibe for Philo. The musical homage to the great Thin Lizzy frontman, Philip Lynott, has been in action for 30 years and has held quarters in some of the most renowned music locations that Dublin has to offer like The Button Factory and Vicar Street. Only Las Vegas Elvis conventions have a longer track record than the tribute show and it is a testament to the standard which has been set by the Workman’s to have been chosen as the hosts for the 2017 edition. With over 200 Independent Google Reviews, amassing to a rating of 4.1 out of 5 stars, we would say that the venue has been slightly undervalued, we will let our rating system below give you all the specifics you need but in our eyes it is a massive Mojito drenched thumbs up for one of Dublin’s best Indie establishments.